This high polished finish engraved bottle opener key chain makes a great gift that is also very useful. Personalize the silver bottle opener key chain on the top with up to 2 lines of engraving. The bottle opener key chain is thick, durable and built to last. 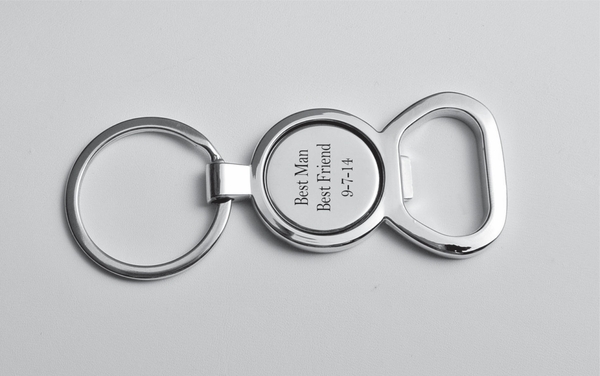 Customized bottle opener key chains are also great groomsman gifts for your wedding party.